Today marks the thirty-second anniversary of the first, and thus far, only sinking of an Indian naval vessel. On December 3, 1971, tensions between India and Pakistan reached a fever pitch and the countries began a thirteen day shooting war. On December 9, Indian early warning posts detected a submarine patrolling close to the harbor of Diu and a squadron of frigates was dispatched to dispense with the trespasser. The submarine in question was the Pakistani Hangor, a sub completed by the French in 1970 for Pakistan’s Navy. Sallying forth against the Hangor were the two British built frigates, Khukri and Kirpan. The Hangor launched two (although some sources claim three) homing torpedoes which struck the Khukri and sent her to the bottom in short order. 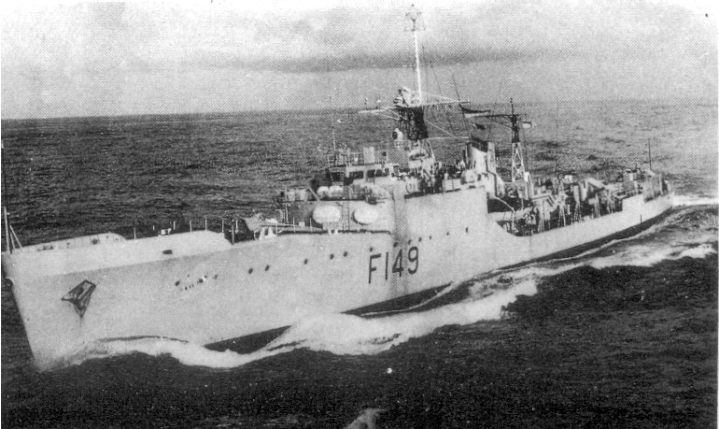 Despite being attacked with depth charges, the Hangor successfully returned to Pakistan where she served until 2006 when she was transformed into a museum ship. The Khukri was the first ship sunk by a submarine since World War Two and would remain so until the HMS Conqueror sank the ANA General Belgrano during the Falklands War. All told 194 Indian sailors lost their lives and hostilities ceased just 7 days later.